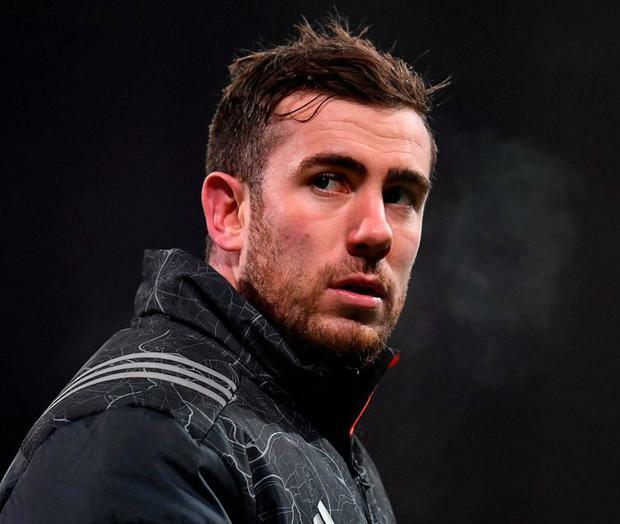 Rarely has such an exciting, young, home-grown player left these shores to such a cacophony of dissatisfaction as what JJ Hanrahan's move to Northampton drew from Munster supporters. For years, the hope throughout the province was that Hanrahan would be the eventual heir to Ronan O'Gara's throne but rugby doesn't always work out as planned. Being shifted across the back-line, Hanrahan grew frustrated at his lack of game-time at out-half and eventually made a brave decision that he hoped would improve him as a player, before returning to Munster for a second chance. After two years in the Premiership, the second of which was blighted by injury, the 25-year-old is back where he belongs but so far, he has encountered the familiar problems of old. With Tyler Bleyendaal currently out of action, many might have expected Hanrahan to slot into the starting XV, but such has been Ian Keatley's renaissance, the Currow native has had limited opportunities in the pivot position. Hanrahan returned from Northampton with a shoulder injury that delayed his second debut with his home province until late in September but nevertheless, three starts from 15 games this season is not what he had envisaged. Just two of those starts came at out-half and when you consider that they were against teams who are second last in their respective Guinness PRO14 conferences, you would be forgiven for assuming that it has been a difficult homecoming for Hanrahan, yet that's not how he is looking at it. "I wouldn't say it has been frustrating," he explains. "The main thing for me is that coming back with a shoulder injury I was out for the bones of six months and I suppose I missed the first five games of the season. "I was just trying to find my feet early days and you can't expect really to walk into this team. So for me it is just grafting every day and keeping my head down and just trying to work on." Hanrahan is likely to get another chance against Ulster on New Year's Day and if he does, he knows that he is under pressure to perform. The arrival of Johann van Graan has wiped the slate clean for everyone but for someone like Hanrahan, who is desperate to impress, you get the feeling that he has relished having a new man at the helm more than others. "I suppose every time a new coach comes in, it is more stuff to learn," he maintains. "It's a different voice, a different point of view on rugby, and you can just pick up little nuggets all along the way. It all helps you get better. "I am happy enough (with my form). There is plenty still to improve on. Rugby is an ongoing battle every day. Some days are good, some are not, especially in the number 10 role. "Some days you can have really good games, but there is so much more involved than just you to make you perform well. Overall, I'm pretty happy, but I need to keep building." Hanrahan was very much taken out of his comfort zone during his two-year spell with the Saints and he is adamant that it helped him improve as a player. "The main thing (learning) is the game management side of things," he reflects. "A lot of the time when you are over in the Premiership, a lot of it can come down to penalties and things like that. Sometimes it can be more of not playing in your own half, put the ball in their half. It is more of a control game. I learned that from being in England and the Premiership. "The physical side as well, looking after your body, what it takes to play 25 games a year, they are all learnings along the way. "Personally, I suppose it depends on what you deem success as. If you deem it as on the rugby pitch, playing every week, probably not so much because my second year I was only available for 10 games through injury, so you would say no in that aspect. "But in terms of an overall holistic approach, from a growth mindset, you would say 'yeah'." The competition for the out-half slot is still fierce. Bleyendaal is due to return from a neck injury in the coming weeks, while Bill Johnston, who has a very bright future ahead of him, is lying in wait. While it goes without saying that Hanrahan is doing everything he can to usurp Keatley, he, like everyone else, has been "very impressed" with how he has bounced back from his own difficulties. "It shows his resilience and mental toughness," he says. "It is easy to kick someone when they are down, but I think it shows the strength of him to come back out, get back into Irish camp, play well off the bench for Ireland on two occasions when he got the opportunity and bring that form back into Munster. It is a good mark of the man." Hanrahan only got nine minutes to impress against Leinster earlier this week but he is eyeing a starting berth in Belfast. "It is not easy up there," he adds. "The Kingspan can be a hostile enough place as we all know, but I think it is a challenge you have to relish."